We will first show you how to provision Azure-SSIS IR - dedicated ADF servers for lifting & shifting SSIS packages – with your SSIS catalog (SSISDB) hosted by Azure SQL Database server/Managed Instance and extend it with custom/3rd party components. 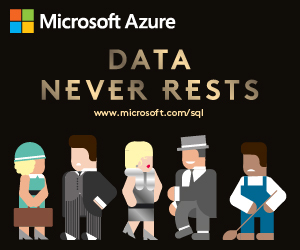 Preserving your skillsets, you can then use the familiar SQL Server Data Tools (SSDT)/SQL Server Management Studio (SSMS) to design/deploy/configure/execute/monitor your SSIS packages in the cloud just like you do on premises. Next, we will guide you to modernize your ETL workloads by triggering/scheduling SSIS package executions as first-class activities in ADF pipelines and combining/chaining them with other activities, allowing you to automatically provision Azure-SSIS IR on demand/just in time, inject/splice built-in and custom/3rd party data transformations, such as Power Query Source, Data Quality (Matching/Cleansing) components, etc. And finally, you will learn about the licensing model for ISVs to develop their paid components/extensions and join the growing 3rd party ecosystem for SSIS in ADF.